From left: Douglas Drossman, MD, Jeanetta Frye, MD, Karen Finke,PA-C, both of the University of Virginia, and Megan Huff, PA-C, Drossman Gastroenterology. Dr. Drossman had the honor of welcoming Jeanetta Frye, MD, a Junior Faculty Gastroenterologist, and Physician Assistant Karen Finke both of the University of Virginia for a two-week observership. They came to the Drossman Center for the Education and Practice of Biopsychosocial Care to work with Dr. Drossman and his physician assistant Meghan Huff for two weeks. Their goals were to improve their skills in communication methods, clinical decision making and use of central neuromodulators and to gain first-hand experience treating patients with complex functional GI disorders using a biopsychosocial approach, the cornerstone of Dr. Drosmman’s practice. This visit was part of the Rome Foundation Visiting Scholars program which also included a visit with William Whitehead, PhD and Olafur Palsson, Psyc. D. at the University of North Carolina Center for Functional GI and Motility Disorders. At UNC, Dr. Frye and Ms. Finke discussed their research activities and learned of the Center’s current research program. Dr. Frye treats patients in general gastroenterology with a particular interest in FGIDs. She is an assistant professor of gastroenterology and hepatology and is board certified in both internal medicine and gastroenterology. She earned her undergraduate degree from Emory and Henry College before attending medical school and completing her residency in internal medicine at Vanderbilt University. Dr. Frye completed a fellowship in gastroenterology and hepatology at the University of Virginia, then joined the faculty of that division in 2013. Ms. Finke attended undergraduate school at Shenandoah University in Winchester, VA and PA school at Arcadia University near Philadelphia, PA. She has been a physician assistant in gastroenterology at UVA since 1999. In addition to seeing patients for a variety of general gastrointestional disorders and inflammatory bowel disease, she coordinates care for patients with feeding tubes, including pre- and post-procedure issues and long-term feeding tube needs. 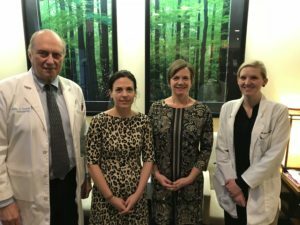 In an effort to help illustrate the value of their experiences on learning to treating patients with functional GI disorders using a biopsychosocial approach, Dr Frye and Ms. Finke share their experiences with Dr. Drossman and his care team. Their answers appear here in their own words. What are some of the main challenges you are facing? Dr. Frye: As a gastroenterologist with a particular interest in functional GI disorders, I face many challenges in my practice. Given the pressures of medicine today, I am unfortunately simply not able to spend enough one-on-one time with my patients. Patients with functional GI disorders are often quite complex and require a significant amount of time to build relationships, discuss symptoms and develop treatment plans, and this is often not supported in medicine today. In contrast, the emphasis of care is specifically focused on pursuing diagnostic tests and invasive procedures rather than building relationships and pursuing other therapeutic interventions such as psychological therapy and nutrition counseling. Ms. Finke: As a physician assistant in an academic tertiary referral center one of the main challenges I face is having enough time to spend with patients, particularly complicated FGID patients who may have already seen multiple GI physicians. We are asked to see more and more patients with complicated issues in less time and still deliver the same high quality of care the patients deserve. Are you seeing an increase of functional gastrointestinal disorders in your patients? Ms. Finke: I think my practice has always been heavy in FGIDs and this is likely because I am at an academic tertiary referral center. I think it’s possible I see more patients who come with the diagnosis already made or who already have an idea about what their problem may be. This can be attributed to more of an awareness among primary care providers, patients having access to the internet or prior GI referrals. I think I see more patients who have already seen multiple providers with repetitive work up but no real treatment in place. How are patients with FGIDs in typically treated in your practice? Dr. Frye: Typically, patients with FGIDs in my practice undergo frequent testing (often at the insistence of the patient or family). I am starting to incorporate the use of more central neuromodulators in the care of these patients, thanks to my work with Dr. Drossman. Unfortunately, many of my patients do not have access to important interventions including psychological therapies, biofeedback and nutrition counseling. Ms. Finke: Most often I will use a tricyclic antidepressant (TCA), try to recommend cognitive behavioral therapy (CBT) and/or gut-directed hypnotherapy if this is available to patients based on insurance or financial resources. I find frequent follow up visits can be as important part of the treatment plan as medications by establishing a strong provider-patient relationship and providing as much education about their FGID as possible. 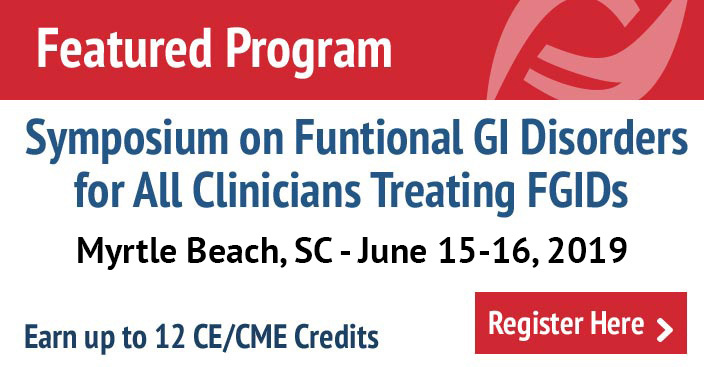 What prompted you to come to the Drossman Center/Drossman Gastroenterology to learn more about functional GI disorders and physician-patient communications? Dr. Frye: I came to work with Dr. Drossman because of his reputation and my own disillusionment with my field. As a fellow and junior faculty, I have read his work and participated in conferences where he has given outstanding lectures. I use the Rome MDCP daily in my own practice. I came to Dr. Drossman with a strong desire to learn the most up-to-date way to help my patients with FGIDs. Ms. Finke: Patients with FGIDs are a big part of my patient population, but I have not felt I could offer them adequate therapy beyond TCAs and often this is inadequate. 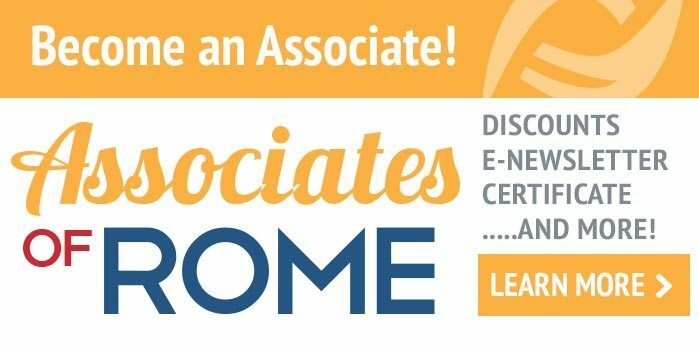 I wanted to gain a better understanding for using medications other than TCAs, improve my interview techniques so I can understand their problems and offer appropriate treatment options and patient education. The opportunity to spend time and learn from the foremost leader in FGIDs, this is a true honor. What do you think practically you could do differently in your practice now that you have had this immersion experience with Dr. Drossman? Dr. Frye: Working with Dr. Drossman has been a career-changing experience. I just will not be able to express how much this has reinvigorated my desire to improve my care of patients with FGIDs. His mentorship has been unbelievable. I am so excited to continue to work with him and continue my education in the management of FGIDs. I am now energized to improve my use of therapeutic options with patients – particularly with the use of central neuromodulators and psychological therapies. I am working to use the techniques he teaches (regarding the patient interview) on a daily basis. I am also thrilled to take this back to my institution and share with my trainees. Ms. Finke: I have been able to change my interview techniques by asking different questions, such as questions about quality of life, impact on their life, their hopes/expectations. I will ask more detailed trauma/abuse history, listen more actively, less documenting during an initial visit. I will involve the patient more in developing their treatment plan so they feel more in control. I anticipate using other antidepressants and atypical antipsychotics when TCAs fail or are inappropriate and can better educate patients about why we use them and how they work. I left feeling more confident in managing my FGID patients. Any advice or insight you would like to share with other physicians? Ms. Finke: Listening to the patient, validating their concerns and developing a treatment plan together is an excellent base for improving their quality of life in patients, even before medications are prescribed. This immersion experience was invaluable and change how I will manage my FGID patients moving forward. This visit was also sponsored by the Rome Foundation Visiting Scholars Program. The Foundation endorses observorships to approved academic or clinical practice programs. For further information please contact jruddy@theromefoundation.org.